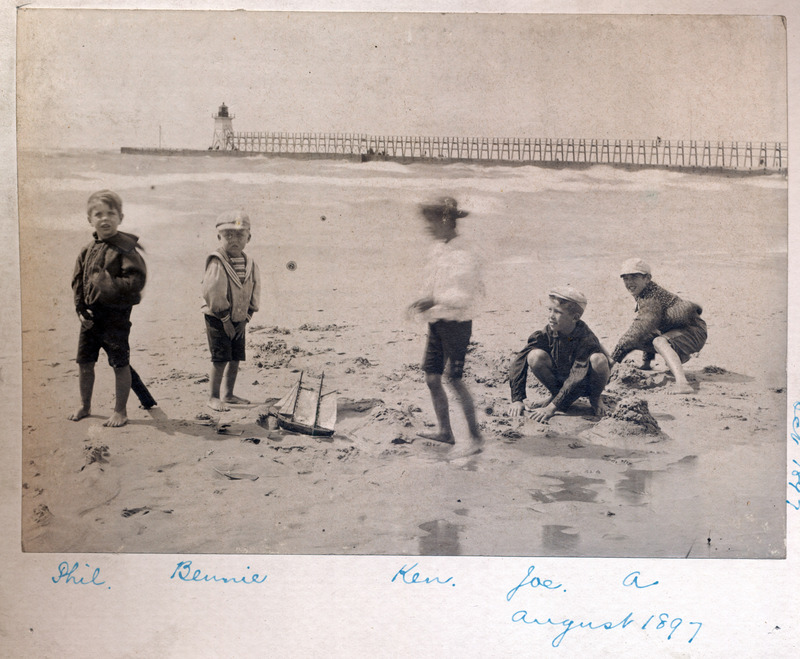 The station is a virtual twin to the Kewaunee Pierhead Light on the other side of Lake Michigan. 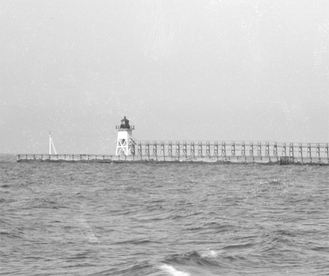 The lighthouse, popularly referred to as "Big Red" was automated in 1932. The original Sixth Order Fresnel Lens was taken to the Netherlands Museum in Holland, Michigan. A 250-mm plastic lens was exhibited in its place. When the U.S. Coast Guard recommended that it be abandoned in 1970 citizens circulated petitions to rescue it. 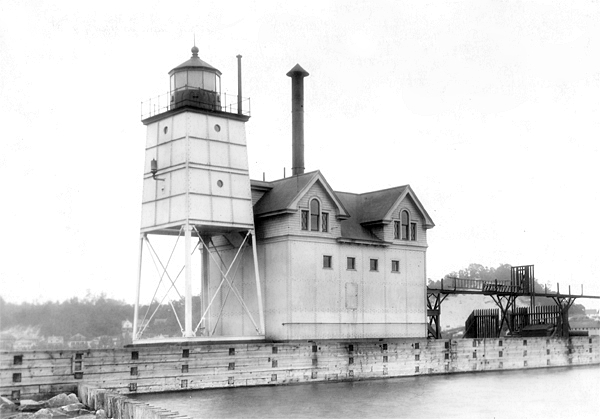 The Holland Harbor Lighthouse Historical Commission was then organized to preserve and restore the landmark. Reverend A. C. Van Raalte emigrated here from the Netherlands with his followers in 1847. The Lake Macatawa (Black Lake) outlet was blocked by silt and sand. 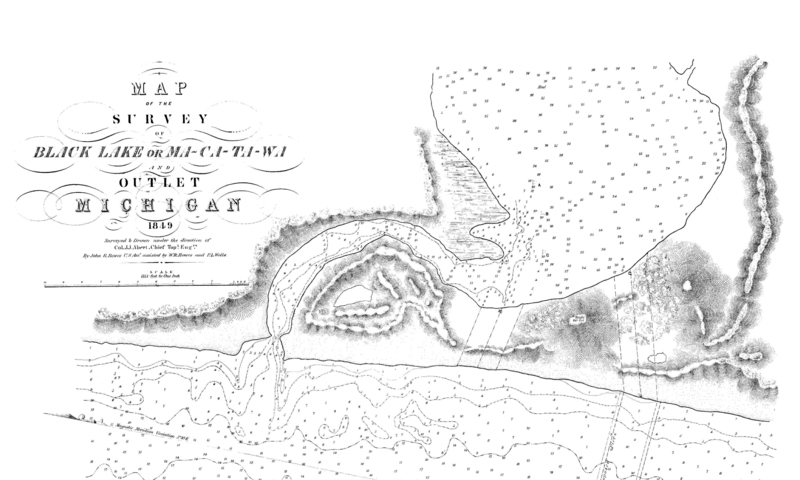 Frustrated by a lack of action from Congress, the Dutch settlers dug the channel themselves. On July 1, 1859 the small steamboat "Huron" put into port. 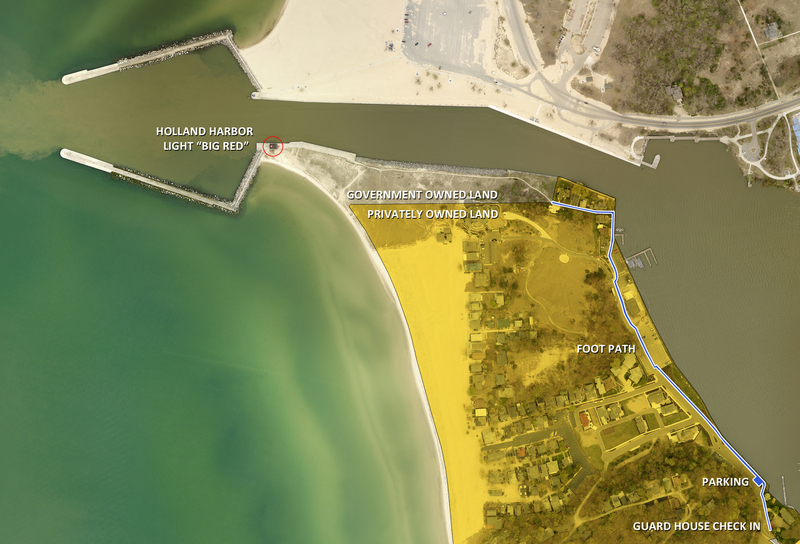 The Holland Historic Lighthouse Commission maintains the structure and records of this unique treasure and relies on contributions of local residents, visitors and friends. You can find more about how you can ensure that national historic treasures like Big Red remain a vital part of our architectural and maritime cultural heritage on our contact page. Overhead View of Pedestrian Access points to Big Red.